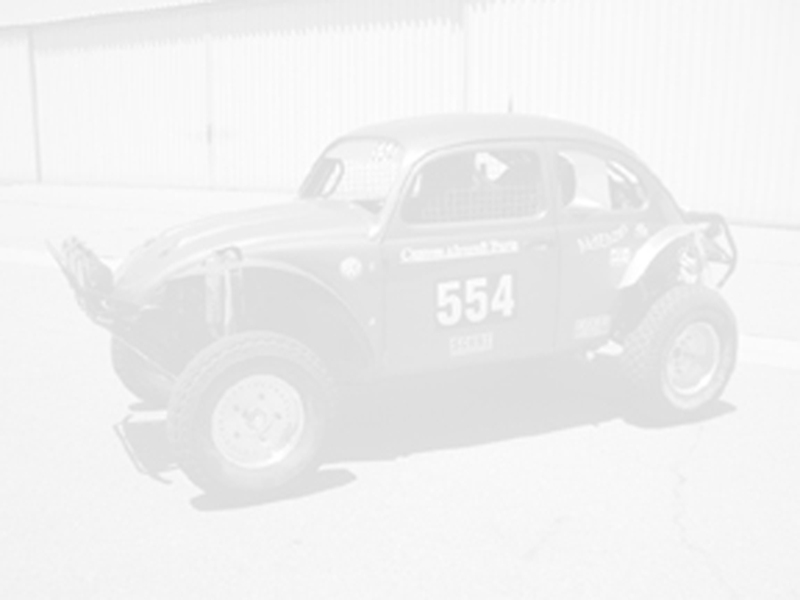 This Baja Bug was a father/son project undertaken as Trevor's first "daily driver" while he was still in High School. It has served him well for many years but now that it's no longer a daily driver, it's time to transform it into the pre-runner Trevor always wanted it to be. This car came into existence in 1969 - in stock configuration, it has all the least desirable suspension features for an off-road car. Originally a "ball-joint/swing-axle" chassis, we are converting it to "link-pin/IRS" configuration. We're not going to settle for stock suspension components or travel; it'll use some of our spare race car parts and will have nearly as much suspension travel, both front and rear, as the 5/1600 car. Reaching those suspension travel goals will require longer stroke "off-road" shocks and a "cage" structure to support them. Trevor will also be swapping out the existing "Type 1" swing-axle transaxle for a Bus IRS transaxle with 930 CV drive flanges and plans on overhauling the Type 4 engine while it's out. 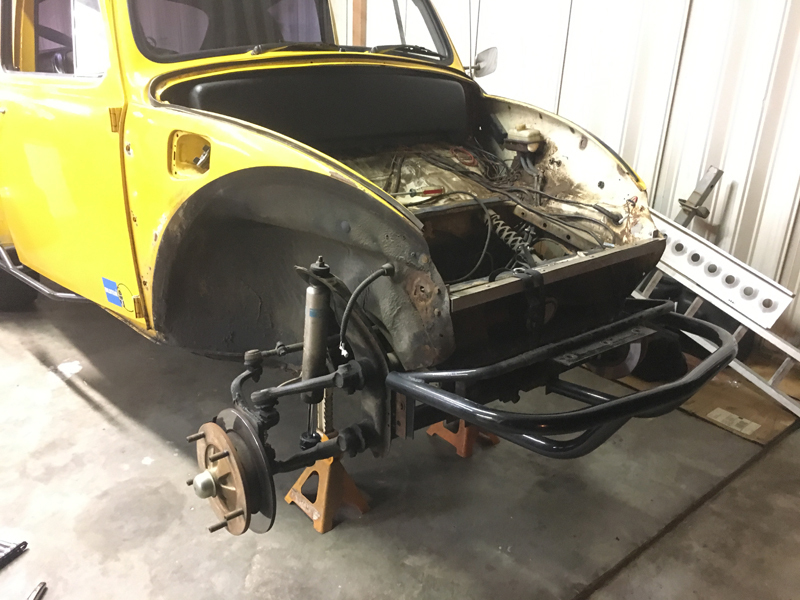 Phase 1 - "Front Suspension Update" is currently underway and nearing completion. Once our Saco steering rack is on hand, we can wrap it up. Phase 2 - "Rear Suspension Update" will include the conversion to IRS, trans. swap and cage structure design and fabrication.